← Get a Library Card with Peter White Public Library! The Community can use the Library too! 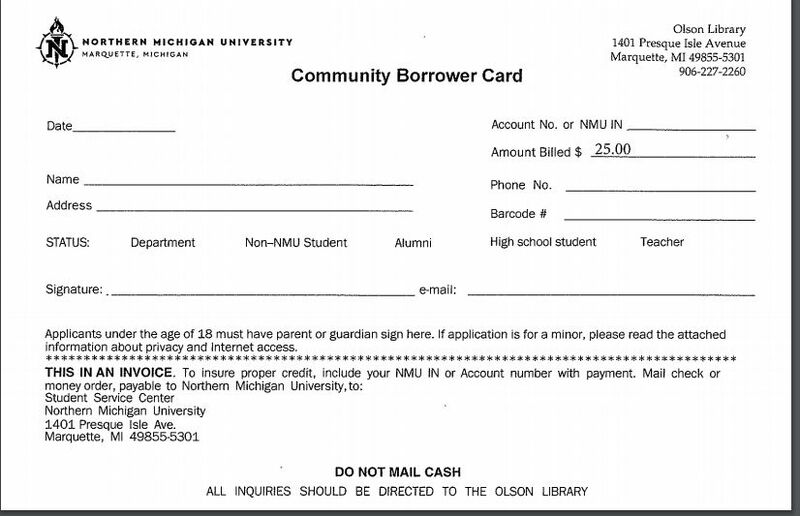 You can still use the Olson Library, even if you’re not currently a student or otherwise affiliated with NMU. 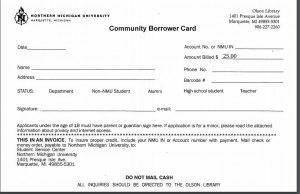 Just come by and fill out a Community Borrower Card form. It’s free for alumni, high school students, and educators, and $25 a year to the general public. The card gives you access to our huge print and media collection! Click here for more details.